Modeling is a profession that has existed for decades. The understanding that nothing sells a piece of clothing better than seeing potential customers see the look on other human beings has created an industry that has grown to be worth several hundred millions of dollars. Today, that industry has spilled onto social media via platforms like Instagram, giving women like Roni Rose a chance to become successful at their desired profession. However, while Roni Rose is a notable model, it was not her work as a model that catapulted her into the limelight. It was a random moment during a basketball game between the Golden State Warriors and Cleveland Cavaliers that transported Roni Rose from a fringe model into a national personality. You can learn all about this and Roni’s life as a whole below. Roni Rose was born on the 23rd of November, 1988 as the daughter of parents whose identities are at the moment unknown. There is a dearth of information about her background but it is known that her mother worked as a runway model while father was a fitness trainer. The marriage between her mother and father did not last very long and they got separated when Roni Rose was a young child. Born in Livermore, California, the separation caused Roni to spend her childhood living in both the Modesto area and Oakland in order to spend time with her parents. She completed her high school education at Ceres High School where she expressed the interest in physical activities her father had instilled in her. She got involved in sports like basketball and athletics, among others. The passion for physical activities has contributed to making her a successful professional dancer and fitness model. Before she was shot into the limelight via the random event of the 2016 NBA Finals, she began her modeling career at the age of 14. During this period, she had photo shoots for magazines. Following the completion of high school, Roni Rose, who did not attend college focused on her career as a model. She has worked for several brands in different capacities, including the Conquer Fighting Championship where she worked as a ring girl. She has also worked as a stripper. As someone with the ingenuity of using her skill as a talented dancer to create an income for herself, Roni Rose owns and runs a dance studio in Oakland where she teaches aerobic dancing. Roni Rose is a super fan of the Golden State Warriors and makes it a point of duty to attend Home and Away games of the Warriors got into the limelight during a game between the Golden State Warriors and the Cleveland Warriors during the Game 2 of the 2016 NBA Finals. 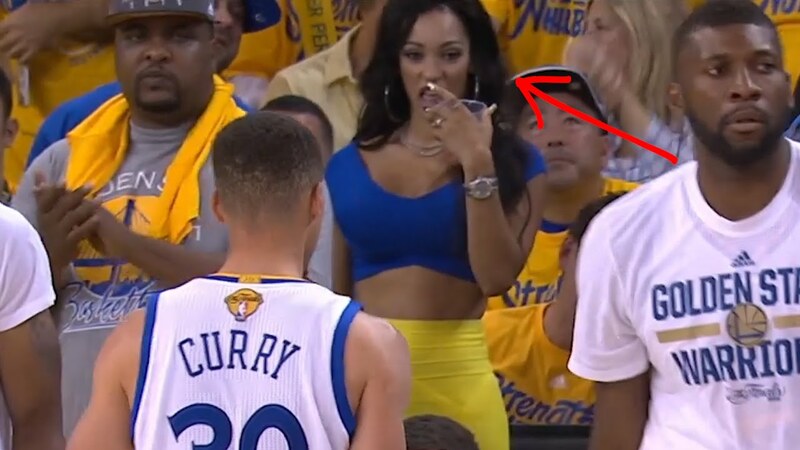 She was captured giving Steph Curry, a player for the Warriors a sultry look and it went viral. The look sparked rumors of infidelity between Curry and Rose, all of which have been denied. Apart from the Warriors, Roni Rose is a fan of the Los Angeles Lakers and the Oakland Raiders. Roni Rose so far has lived a pretty exciting life. Not only does she live a glamorous life as a nationally recognized model, but she is also a mother. Before her status changed in 2016, she gave birth to a daughter via her relationship with a rapper named Tone P, whose real name is Antonio Neal. Roni Rose met Antonio Neal in 2009 and their mutual attraction to each other led to a relationship that eventually led to a marriage in 2012. Their marriage, however, ended sometime before the infamous incident in 2016. After their separation, the model didn’t stay single for very long before she began dating Jay King, who is also her manager. Their relationship evolved into an engagement when Jay King, who is also a big Golden State Warriors fan, proposed to her on the 24th of November, 2016 during a game between the Warriors and the Lakers. A cursory look at Roni Rose would suggest a woman who spends a lot of time at the gym but according to her, she doesn’t use the gym and her only form of physical workout is dancing and working as a stripper. Her attractive figure is packed in a body height of 5 feet 4 inches with an accompanying body weight of 61 kg. Alongside her height and weight are body measurement of 36-26-38 inches, for her bust, waist, and hip sizes respectively. Other notable features include black hair and dark brown eyes.